Rojava or western Kurdistan is a de facto autonomous region in northern and north-eastern Syria, in November 2013 Rojava was established, consists of the three cantons of Jazira, Kobani and Afrin. Kurds make up between 9% – 15% of Syria’s population, which is over 2 million people. The northeast of the country is strategically important, because it contains a large percentage of Syria’s oil supplies. They had suffered from decades of discrimination by the Syrian government and neglect, being deprived of basic civil, cultural and social rights. Since the start of the Syrian war, most Kurdish political parties organised themselves into the National Coordination Committee for Democratic Change [NCC], holding a more moderate stance regarding the Syrian government. However, in October 2011, all but the Democratic Union Party [PYD] left the NCC to form their own political umbrella organisation, as the Kurdish National Council. PYD controls all areas that have majority of Kurdish population in Syria which is located in the northern part of the country and close to the Turkish border. PYD has a strong connection to PKK which is operating in Turkey and it has relations with Assad government. Many believe that PYD is the PKK Syrian branch, Turkey sees it as threat to its national security especially when PKK and Turkish government are negotiating in order to disarm the PKK but they refused and now the war between them as erupted again. YPG has never participated with the Syrian Opposition in their fight against Syrian government but the Syrian opposition has helped them in their fight against Islamic State. PYD has practiced ethnic cleansing against Sunni Arabs and Turkmens and displaced them from their villages in order to change the demographics in the north and to create a Kurdish state as the opposition claim. PYD has a good relations with Syrian government and deals with them when it suits their interests. President Bashar Assad has allowed the PYD Kurds to separate and to create an autonomous region despite his regime don’t recognize it, but in order to push the Kurds away from the Syrian revolution and at the same time to concentrate his fighting efforts on the Syrian opposition forces throughout Syria. 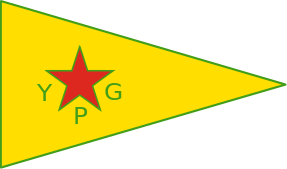 People’s Protection Units [YPG] – Syrian Kurdish regional military force that was formed in 2011, YPG claims that it serves regional interests of Rojava and defending it from any foreign or internal threats. Turkey and some members of the Syrian Opposition have accused the YPG of being a branch for the Kurdistan Workers Party [PKK] in Syria but they denied the accusations. Throughout the Syrian conflict, the YPG have caused heavy casualties on forces of Nusra Front, Islamic State and the Syrian government forces. This militant group has 50,000 fighters which is the fourth largest non-government fighting group in Syria behind the Islamic State, Free Syrian Army and the Islamic front. YPG is commanded by Sipan Hemo, who is the main commander of this militia alongside other commanders in Aleppo, Qamishli, Ras al-Ayn, Efrin and Kobane. The YPG is composed of men and women from communities across the Kurdish region of Rojava [Western Kurdistan]. Though mostly Kurdish, the group has attracted increasing numbers of Arabs fighters that are from local tribes that live in Rojava or defecting from the Syrian opposition forces as well as locals from mixed or Arab villages in YPG controlled territories who see the group as the best supporter of regional security also a number of Christians Assyrians also fight in YPG ranks, and the militia has close links to the Assyrian Sutoro and Syriac Military Council. YPG established a Chechen battalion that consists of 200 fighters to fight against Islamic State in northern Syria and it’s led by Chechen commander Xalit Çaviş. There are around 500 Westerners fighting alongside the 50,000-strong Kurdish People’s Protection Units [YPG], the foreign fighter group is called the “Lions of Rojava” which is said to include Britons, Americans, Canadians, Australians and other nationalists and it’s led by Jordan Matson who served as an infantryman in the U.S. Army. Many Western fighters go to Rojava to fight and kill IS fighters but their prime motivation is being Islamophobic or anti-Islam. They don’t care about Kurdish cause and people. There are also Western fighters who came for ideological and humanitarian reasons since they were attracted by the long struggle for an Independent state that’s become the cultural symbol of the Kurdish people, other recruits site an interest in the larger, Marxist-based philosophy the Kurds in Syria and Turkey take from Abdullah Ocalan, the imprisoned leader of the militant organization Kurdish Workers Party [PKK]. YPG has also formed an operations room with multiple FSA brigades called Euphrates Volcano to stop the Offensive of the Islamic State. They has also helped arm and train ethnic minorities in both Syria and Iraq. One of these groups is the Yazidis in northern Iraq, who were evacuated following YPG fighters breaking the Islamic State siege of Sinjar Mountain alongside the Iraqi Kurdish Peshmerga and backed by US air support. Since the PYD began to establish control in 2012 over Afrin, Kobane and Jazira, some politically active individuals with non-PYD Kurdish parties have gone missing or been killed in unclear circumstances. PYD authorities deny involvement in these crimes, and blame the Syrian government or other non-state armed groups. Opposition parties and relatives of some of the victims blame the PYD of using its armed wing YPG in arresting and killing. YPG is also responsible of committing massacres against many Arab civilians in Rojava were they have been accused of having links to Islamic State. They massacred 42 people including women and children in the villages of Til Khalil and Hajiya which is located in the suburbs of Qamishli. Also they massacred more than 50 people in the villages of Til Barak and also ethnic cleansed many Arab civilians from their homes and villages in the region of Rojava. During the battle of Tal Abyad, Syrian Opposition have accused the country’s Kurdish YPG militia of committing ethnic cleansing against Arabs and Turkmen in northern Syria. Since the clashes between Islamic State and YPG forced around 20,000 people to flee in just two weeks. 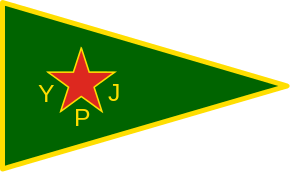 Women’s Protection Unit [YPJ] – Syrian Kurdish female regional force which is formed in 2013 and it’s affiliated with the People’s Protection Unit [YPG]. The YPJ, the Kurdish female militia that is fighting alongside YPG against Islamic State offensives in Rojava. There are around 7,000 women fighters under the ranks of YPJ voluntarily, around 40% of the People’s Protection Units (YPG) fighters in Syria are women. Those women who fight for YPJ range in age from 18 to 24, but there are recruits as young as 12 who trains alongside their elders. 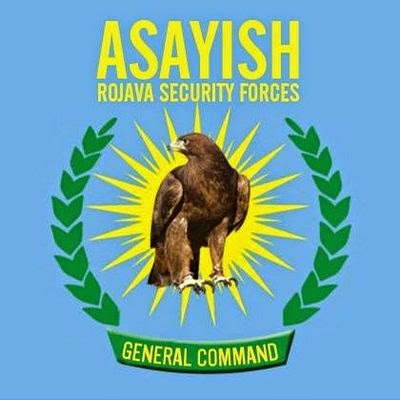 Asayish – Syrian Kurdish security force of the autonomous administration in Rojava or western Kurdistan. It was created in 2012 during the Syrian Revolution to police the Kurdish areas which is controlled by the Kurdish Supreme Committee. Their duty is to maintain public order, civil peace, and social security and to provide protection for private and public properties in Rojava (Syrian Kurdistan). Also this security force is used to combat arms and drugs smugglers. This Security force is commanded by Commander Hasim Muhammad who leads about 4,000 Security man and women to police the Kurdish areas in Syria. Jaysh al-Sanaded – Syrian Arab tribal militia that was formed in 2013 and it is mainly present in the north-east of Syria or in Jazira Canton which is part of Rojava [western Kurdistan], the militia consists of Sunni Arabs from the tribe of Shammer which has a population of 500,000 and they are located in North east of Syria and Northern Iraq, historically it’s one of the most influential Arab tribes in the Middle East. 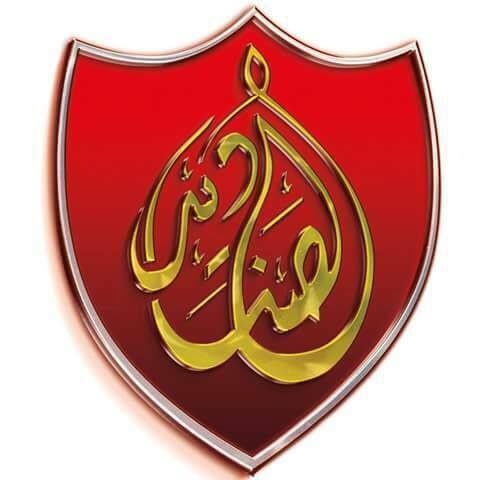 The tribe is led by Sheikh Hamidi al-Daham al-Hadi who is the leader of the Shammer tribe in Syria and he is the governor of Jazira Canton alongside Akram Hesso. Jaysh al-Sanaded is commanded by Bandar al-Hamidi and his deputy Yawer al-Hamidi, the militia has participated in many battles alongside the Kurdish YPG & YPJ against Islamic State, they have managed to defeat the Islamic State in Tall Hamis, Tell Brak and Yaroubiya border crossing. Jaysh al-Sanaded is a defensive force which consist of 3,000 fighters and is objected to defend Jazira Canton and to guard the Syria-Iraq border. 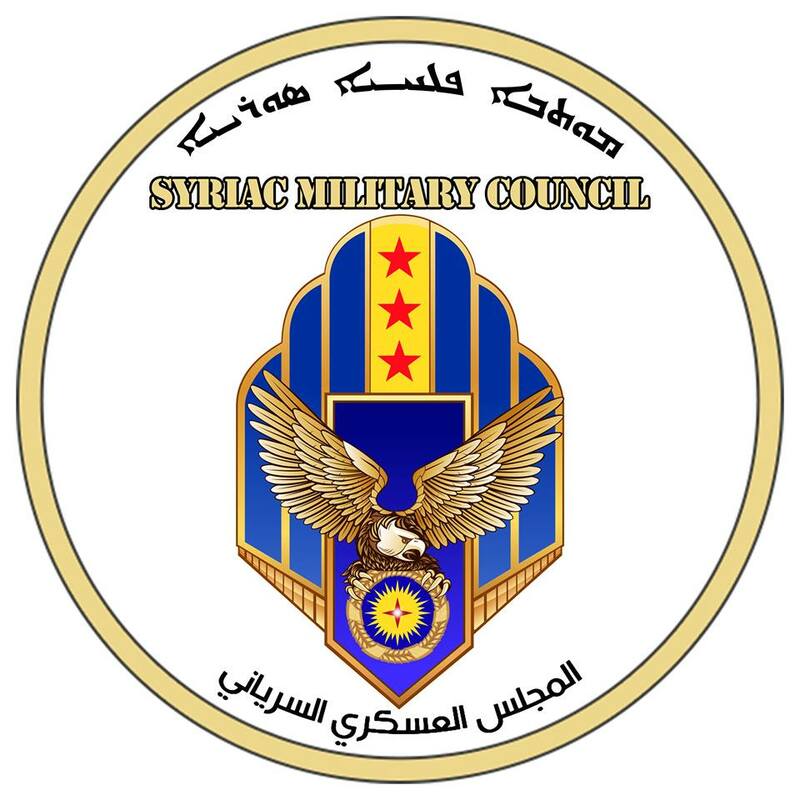 Syriac Military Council [MFS] – Syrian Assyrian military force which was formed in January 2013 and it was created to stand up for the national rights of Assyrians and to protect the Assyrian people in Syria as they claim. The military council fights mostly in the closely populated Assyrian areas of the Governorate of Al-Hasakah. MFS is the largest Christian militant group in Syria and they are funded by Christian organizations from Europe and USA. Syriac Military Council is led by Gewargis Hanna and MFS is estimated to have around 2,000 fighters. They are trained and supported by Kurdish People’s Protection Units and European military volunteers. MFS along with YPG units and Iraqi Peshmerga, participated in an offensive in Iraq’s province of Nineveh in the district of Sinjar, to protect the Yazidi minorities against the Islamic State attacks. MFS members have participated alongside YPG/YPJ in many offensives against Nusra Front and Islamic State in northern Syria, also to implement security in Christian areas which has around 150,000 Christian residents. What will be Donald Trump’s policy on North Africa? How did the Syrian regime manage to survive the Syrian war?